The Man in Black is one of the main characters in the sci-fi western TV series, Westworld. 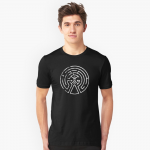 He also happens to be the most mysterious one, and even if he has no compunction killing, torturing or mutilating the artificial beings in the park, we must admit, he is very stylish. 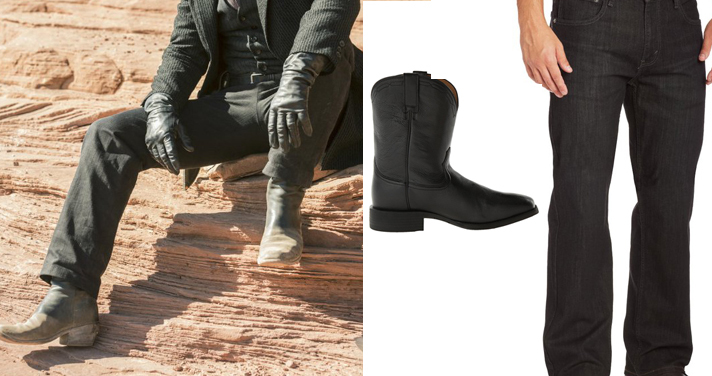 So, we prepared this full guide if you want to dress like the Man in Black interpreted by Ed Harris. 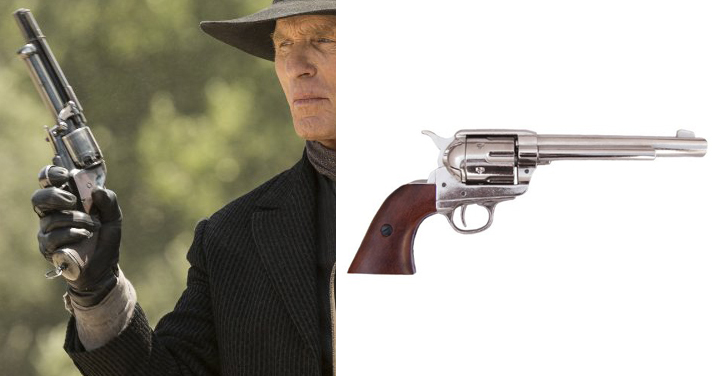 The cowboy hat that Ed Harris wears in Westworld for his Man in Black role is all black, made of felt, and has a slightly higher than regular crown. It is custom made by Baron Hats but is quite expensive. The Woolrich felt outback hat is a close match. The jacket that Ed Harris wears in Westworld for his Man in Black role is a corded velvet blazer. It has been woven in upstate New York by an artisan and another hand-painted it afterwards, so you won't be able to get the exact same. You can buy this textured blazer as a cheap alternative. 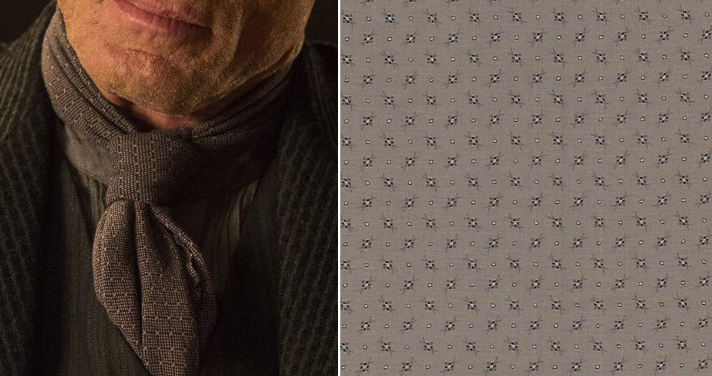 The scarf or necktie that Ed Harris wears in Westworld for his Man in Black role is actually a foulard that is also made from a locally sourced fabric. This taupe fabric is cheap and very similar so you can easily make your own foulard. The waistcoat that Ed Harris wears in Westworld for his Man in Black role is, like every costume from the show, custom-made. It is black with lighter stripes. 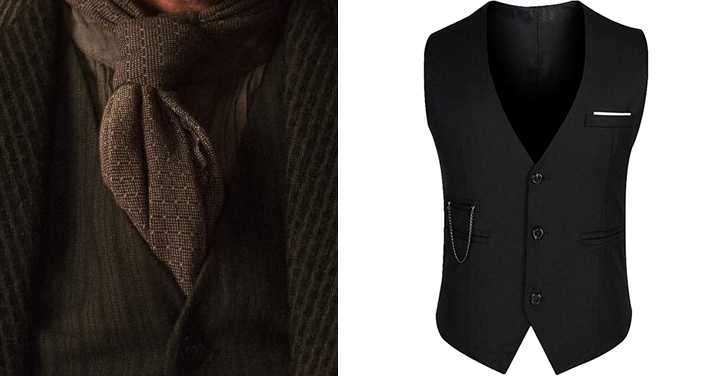 We recommend you buy an all black waistcoat that you will be able to use for other occasions. The Man in Black wears black boots with levine Levi's straight jeans. 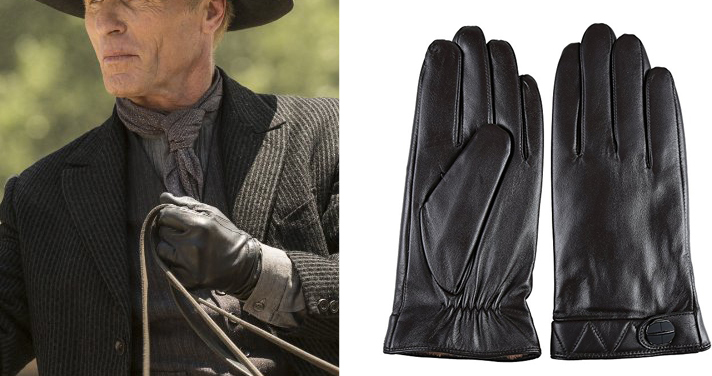 The gloves that Ed Harris wears in Westworld for his Man in Black role are long black leather gloves. The Man In Black's gun is a rare LeMat 1861 revolver. It features a 9-shot .42 caliber cylinder, with an additional single-shot 20 gauge shotgun barrel. The Man In Black's knife was a popular sidearm in the early 1800s, gaining fame with American Pioneer James Bowie. It features a classic clip-point blade, genuine rosewood grip with brass pins and a solid brass pommel. 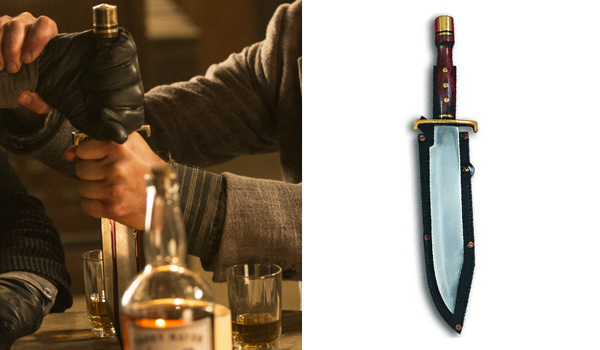 This is the exact match (picture includes leather sheath). This is a fantastic guide. Thank you! I found some additions that might be useful. Here’s a link to a replica LeMat revolver http://www.historicreplicaguns.com/lemat-revolver.html. The only difference between this and the Man in Black’s revolver is there’s no finger rest on the trigger guard. For those willing to go the extra mile, check out this website for custom made gunbelts and holsters. http://www.westerngunleather.com/ The Ranger gunblet and the Nueces holster looks like they’re the closest. Ask for a right-hand cross draw. The proprietor, Don, seems like a really nice guy. Good luck and happy cosplay! Great comment, thanks for helping ! Unfortunately the link for the scarf/foulard doesn’t give a result. Could you give the name of the scarf so I can search for it, or give an updated link? I ordered the fabric from Amazon, but now it’s not showing as unavailable. I bought the cloth and had my friend do a straight line of sewing. Here was the description before they took it down: Marcus Fabrics Spice Palette #0232-0177: Foulard – Dark Taupe. Sold by: Quilt Fabric Closeouts. If I find it some other place, I’ll let you know. Good luck! Thanks! I was able to. It that fabric on eBay! Alright, my friends and I did some Westworld cosplay for my birthday and here are some photos of me as the Man in Black. I used this guide extensively and really appreciate the authors and this site! Did you use the jacket in the guide? How was the sizing?